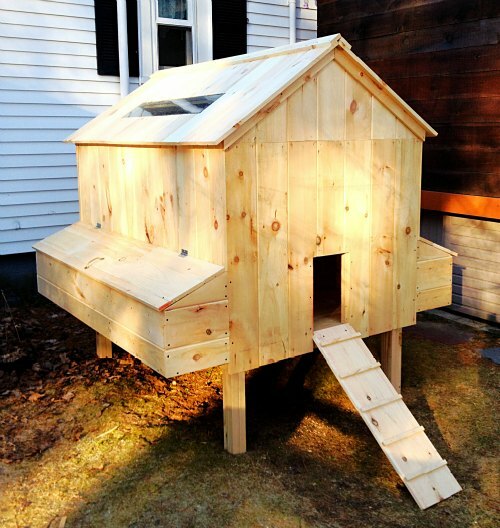 Building a new chicken coop is a great idea for a DIY homestead project. 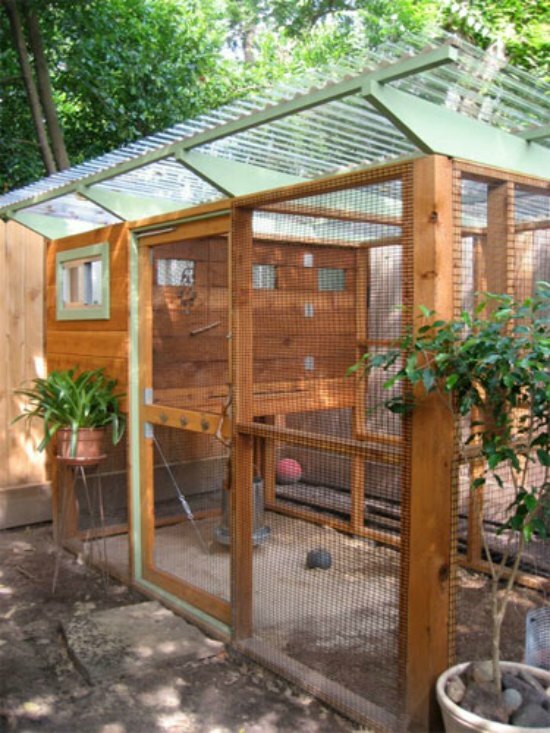 If you’re searching for your next coop plans or you already have an operational coop, there are several chicken coop upgrades available that you might want to consider. 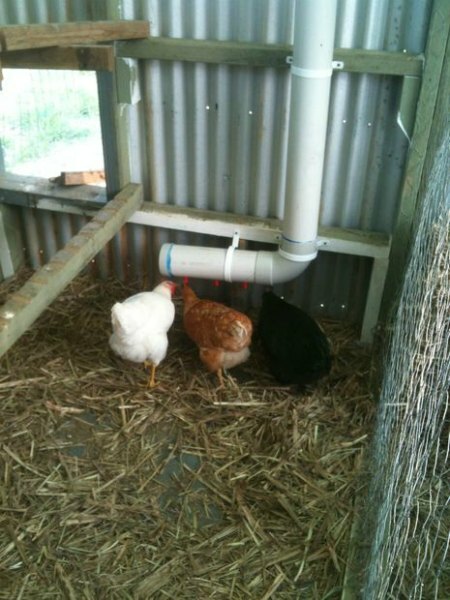 The chicken coop upgrades options listed below will save you time and make life more enjoyable for you, and most importantly for your flock. Chickens love a roost in their run. 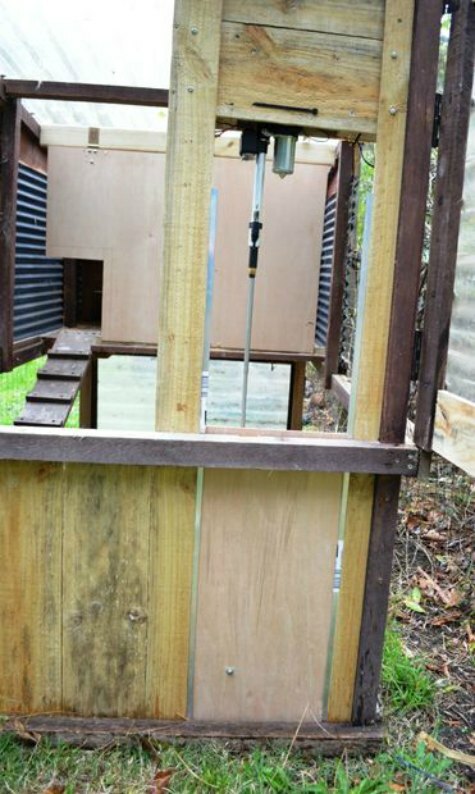 A screened pen will keep predators away from your chickens. 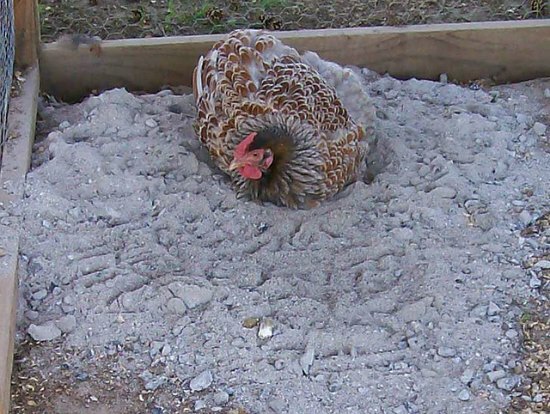 Adding an ash bath will help keep your chickens free of mites. 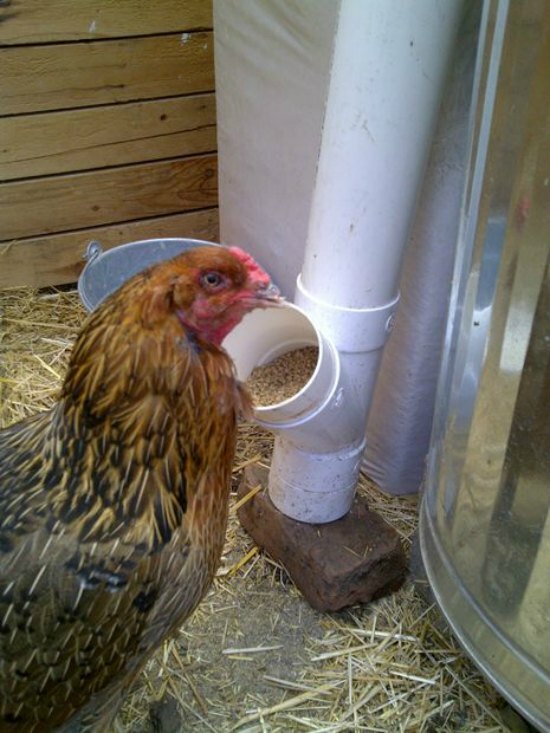 A solar tube is a great way to add natural light into your chicken coop. A small section of plexiglass or other clear material is all you need to make a simple skylight. 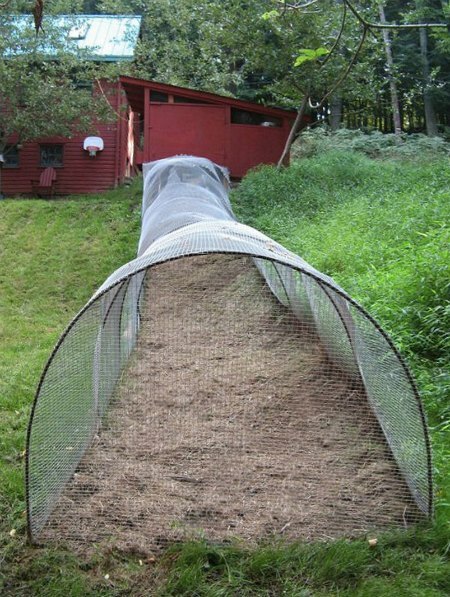 This is a hammock that is designed to keep chicken poop off the floor of your coop. Spouts not only will keep your chickens entertained, they’ll serve as fresh greens year-round regardless of the weather. 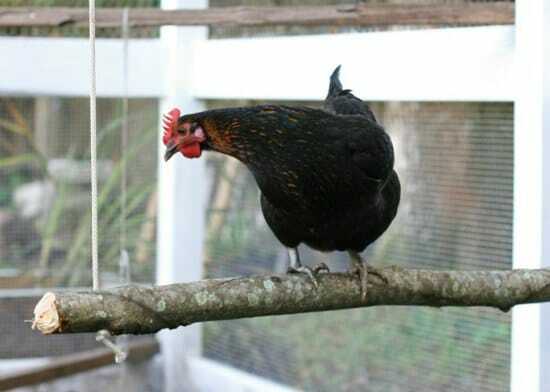 Chickens like their privacy and darkness when they are in their nesting boxes. 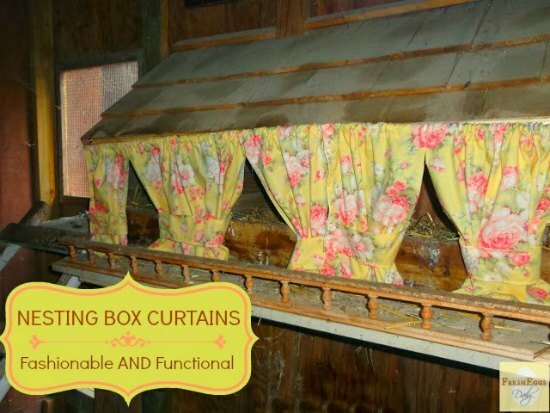 According to Practical Poultry magazine, the curtains will encourage laying and discourage egg eating. 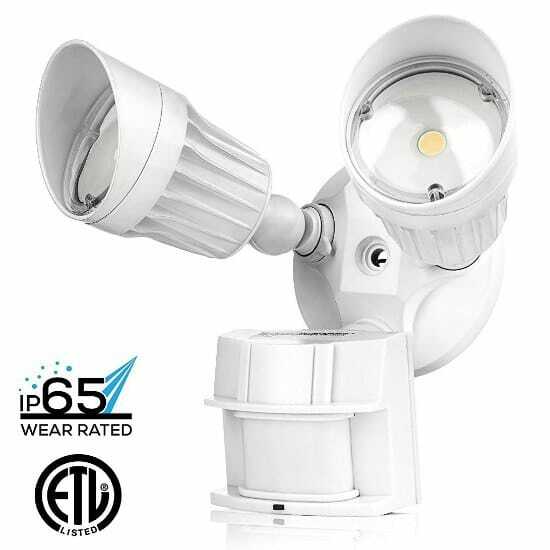 The addition of a solar light is a great way to illuminate your chicken coop. 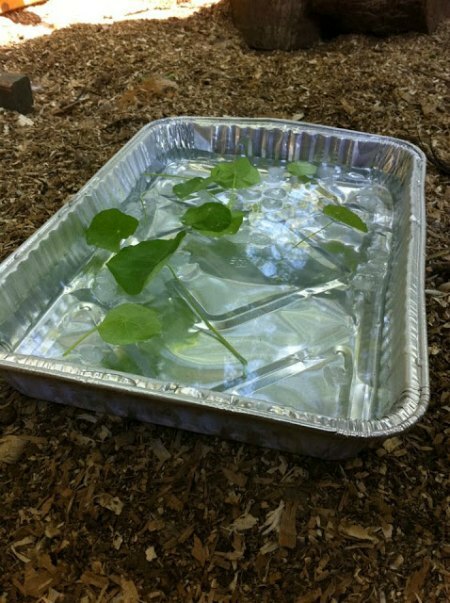 A chicken water system is easy to make to provide water for your chickens. 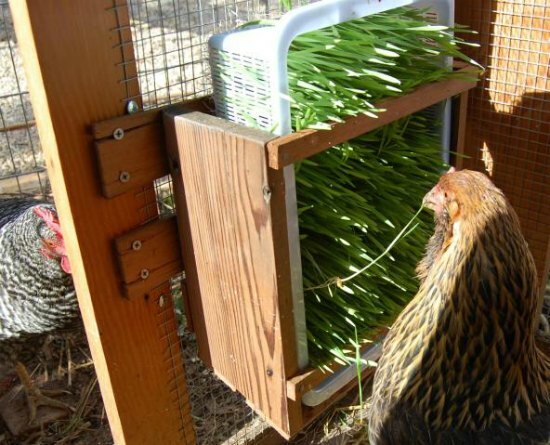 Making a simple chicken feeder makes feeding your chickens a lot earlier. 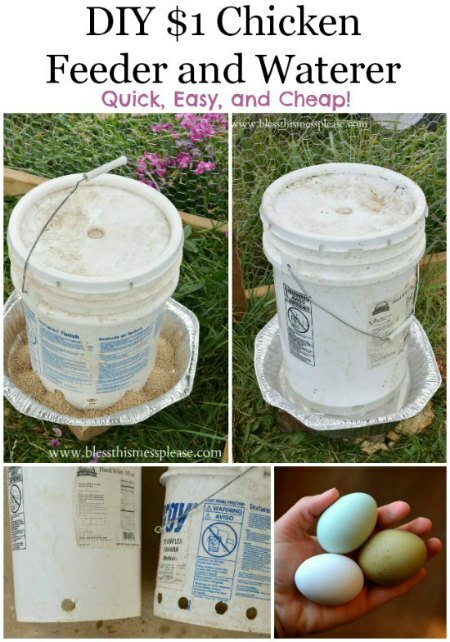 A chicken feeder and water dispenser is easy to make using a 5-gallon bucket. 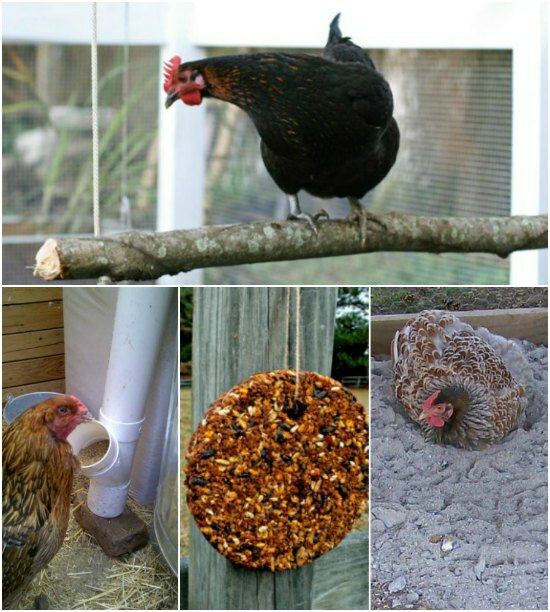 Build a simple nesting box for your chickens. Chicken love to put their feet in cool water on hot temp days. 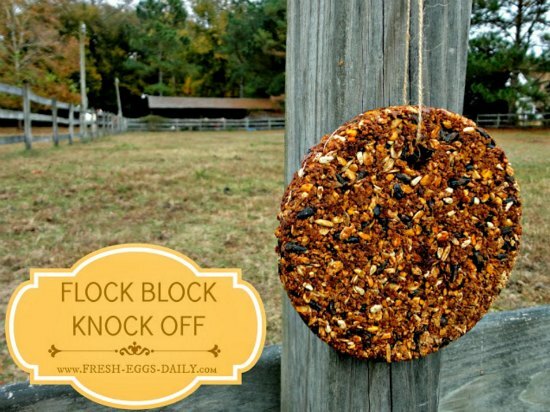 Another great way for your chickens to enjoy getting off the ground. 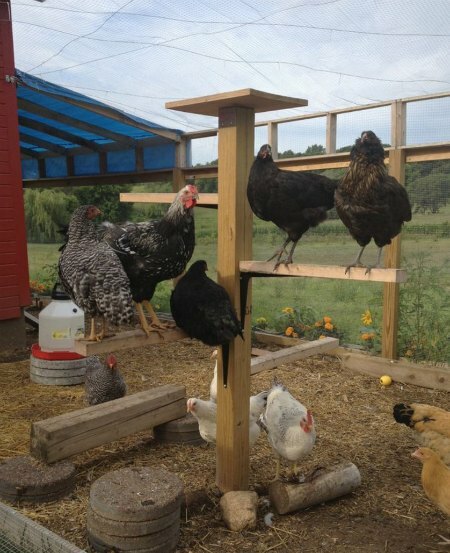 No chicken coop is complete without a custom chicken run. 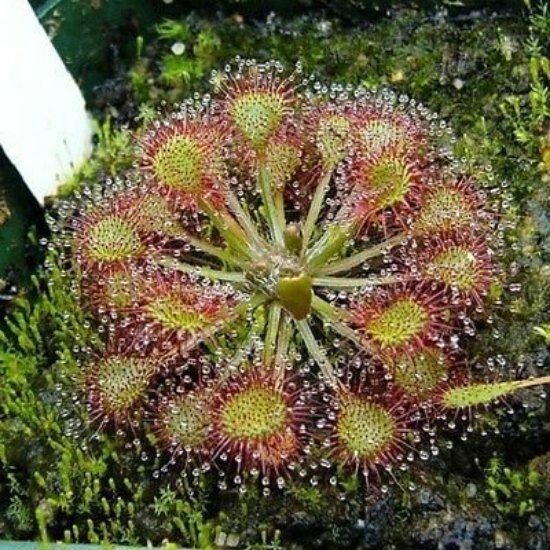 Plant Sundew around the outside of you chicken coop and their sticky tentacles will catch flies that the plant will eat! An automatic door is a great way to keep track of your chickens. This is a great winter treat and boredom buster. 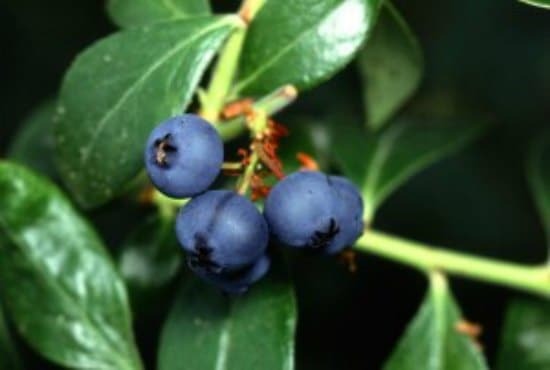 Planting blueberries is a perfect way to add some color around your chicken coop.